Disney's Aladdin Official Trailer - In Theaters May 24! Step back to the 90s with these Disney Channel Original Movies videos! These videos feature Disney and Pixar-inspired delicious recipes, food art, and more! Check out all of your favorite Destination Disney Style videos! Get excited for the back to school season! Be Our Guest and enjoy these fun videos! Let's go beyond the berm and look at how some of your favorite stories come to life. Get all the inside details with these behind the scenes videos! Check out all of your favorite Disney Broadway videos! Check out these fun videos to find all of your favorite Disney cats! Feeling crafty? Get some inspiration from these creative projects including Disney-inspired decorations, DIY and fun projects. Calling all costumers and tailors! These videos celebrate the latest fashions and creative styles that appeal to everyone; from the dedicated cosplayer to the professional costume designers. Watch videos from all your favorite Disney Junior shows! Check out these rhyme artists compiling creative raps about all things Disney! Starstruck? Watch these videos and learn how your favorite stars are just like us-- their answers may surprise you! Watch these videos for Disney-inspired DIY projects and clever hack ideas! Watch videos of your favorite Dogs! Anyone can cook. But some take their culinary skill and add layers of artistry that leave us awestruck! Watch videos from Disney Parks! Did You Know? You can brush up on your Disney and Pixar knowledge with these videos featuring trivia, fun facts, Easter Eggs, and more! 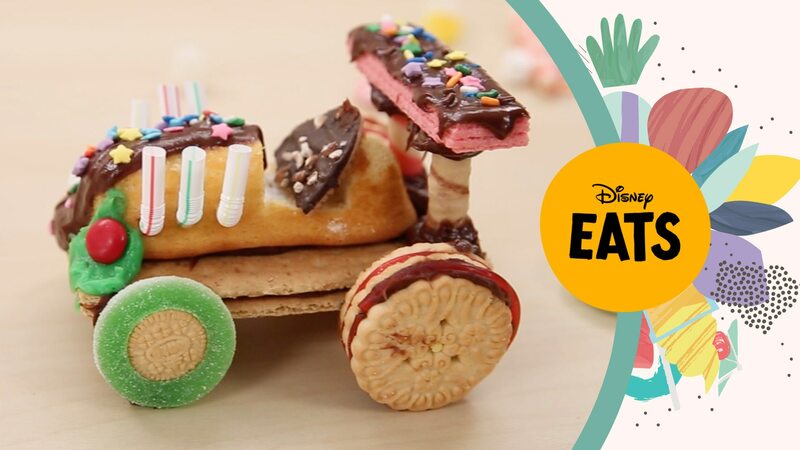 These seasonal videos from Disney Family feature crafts, DIY projects, recipes and more. These Nail Art videos are definitely the cutest cuticle collection we could find! Check out these fun videos related to the latest DCOMs! Check out these Marvel videos! Disney mashup videos with your favorite characters. Get creative with these fun Mickey-inspired craft videos! Enjoy delicious recipes, inspired by Mickey Mouse! Dance along to these music videos and performances! Churro or chimichanga? Popcorn or turkey leg? Whichever you choose, take a FASTPASS to some videos about the best food at Disney Parks!